What is a Clinical Animal Behaviourist? There is a lot of disinformation on the internet. Everyone appears to be an expert. Clients who have a problem with their animals will often seek a solution online before calling a professional in. Many times irreparable damage has been done by not calling a professional right from the beginning. A clinical animal behaviourist has been accredited by a separate body after qualifying in their chosen field in behaviour. The study is usually over many years and not a quick 4 week course. A clinical animal behaviourist should typically have studied at university level. The practitioner will then have to go through strict membership interviews and checks before becoming a full member of a separate animal behaviour association – for instance the CFBA (Canine and Feline Behaviour Association). The CFBA has a rigid code of conduct and asks for a minimum of 20-30 written case studies from the practitioner’s own experience, references and proof of accreditation/qualification. An interview with the practitioner is then conducted so show that the clinical animal behaviour practitioner knows what they are talking about and are confident, competent and presentable in their interview. The CFBA only accepts behaviourists who are species specific and have studied their chosen animal for years. They do not accept all round animal behaviourists who may cover a wide variety of different species. In keeping with their name, the CFBA mainly accept practitioners who work with either cats or dogs. There are two main recognised behaviour associations including the ASAB (Association for The Study Of Animal Behaviour) and the CFBA mentioned above. A practitioner has to belong to either organisation for a client’s pet insurance company to recognise the expertise of the behaviourist. Without the chosen animal behaviourist’s membership of the CFBA or the ASAB, a client cannot claim back their behaviour fees. Vets in the UK recognise and accept all CFBA and ASAB members and will recommend them to clients. It’s important that the behaviour expert identified is someone with the appropriate knowledge, skills and experience to treat your pet. Anyone can call themselves a behaviour expert, but many do not possess up-to-date knowledge or the necessary skills required to treat pets with behaviour problems. is Rogers most recent book, published by David & Charles Ltd, and for F & W Publications in the US & Canada, and in numerous language editions in other countries. 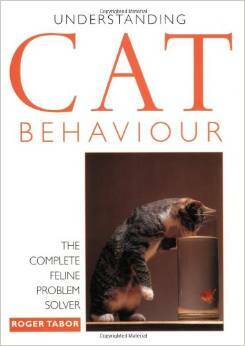 Behaviour’ were published in the UK by David and Charles and in North America by Reader’s Digest. and had Dutch, German and Japanese language editions. 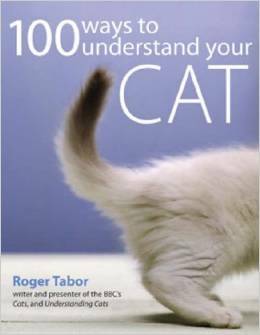 It accompanied his ground-breaking BBC TV series ‘Cats’, and it records Roger’s first hand exploration of the origins of the cat and historic breeds around the world, and initiated the concern about some modern breeds. The Wildlife Of The Domestic Cat – The Wildlife of the Domestic Cat’ (Arrow) Roger’s award-winning first cat book was recognised by Britain’s leading cat charity, Cat’s Protection as “the standard work on the feral cat” by Daphne Negus in the US as “the most informative book ever written about how cats have behaved since time immemorial, and the uncompromising lives they lead in our modern urban society” and by Dr Desmond Morris as “one of the modern classics of feline literature. 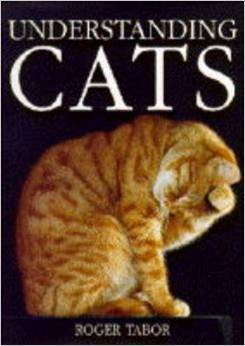 One of the two best cat books ever written. 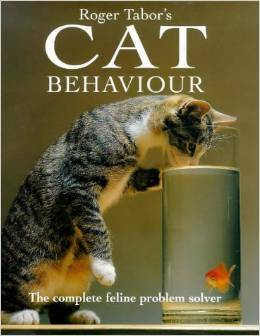 An original, pioneering study of urban feral cats and their social organisation”. Anita was accepted by the CFBA as a full member after passing all examinations of her work and an interview. Her practice is in line with the CFBA’s code of ethics. About the standards of The Canine and Feline Behaviour Association of which Anita is a full member. If you want to employ the services of a canine/feline expert then they must be trained specifically in dog/cat behaviour. 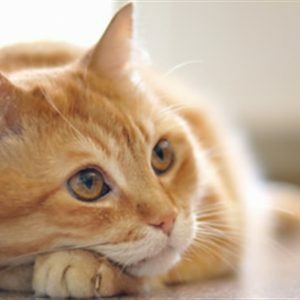 Animal behaviour study is very different, containing a very diluted form of canine/feline behaviour related study and cannot be compared to a more specialised qualification specific to dog/cat behaviour. It’s important that the person you see for your dog/cat behaviour is highly skilled, trained, and most of all, experienced. They should have a history of client-centred and canine/feline behaviour success. These successes should encompass canine/feline behaviour solutions where extensive handling skill of all breeds has been needed, especially in the area of dog on dog aggression/cat on cat and dog/cat on person aggression. The CFBA select from Britain’s top academic and vocationally trained canine/feline practitioners. To help with public confidence in the profession, we have appropriate checks and balances accreditation through courses from university Foundation degree level through to MA Degree standard. We work with the Animal Welfare Committees of Parliament and the most senior pet organisations in the UK like the Pet Education Training and Behaviour Council whose rules we adhere to. This organisation works towards bringing all organisations under one umbrella to help consolidate the best standards in dog/feline behaviour in the United Kingdom and has led the way towards high standards of care and knowledge. The PETbc was the first organisation to be formed during the Companion Animal Welfare Council (CAWC) meetings and the Chairman, David Cavill, was complimented on the formation of it by none other than Sir Colin Spedding (who was chairing the CAWC meetings) saying that he hoped all the other organisations would join. The PETbc has much veterinary science support and is now leading the way forward for the benefit of all pet species, but especially canines/felines. The second main organisation we work with, and are members of, is The Registration Council for Dog Training and Behaviour Practitioners (RCDTBP) a transparent and collaborative organisation with access to a vast pool of knowledge for the media, the public and research organisations. The PETbc and the RCDTBP together make up the largest group of professionals in Britain who have the skills to rehabilitate problem dog behaviour in the entire spectrum of behaviour problems presented. 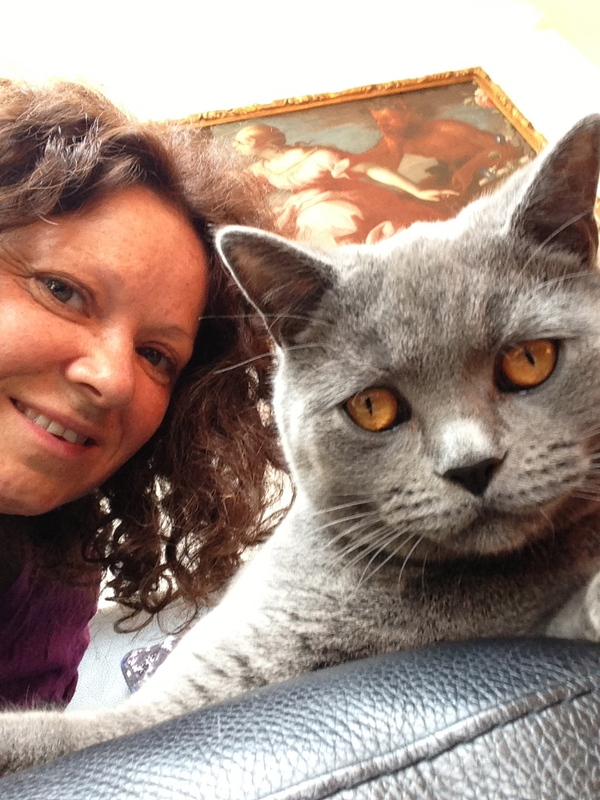 What is an Expert in Dog/Cat Behaviour? It is important that the public become more aware of who they choose to see their dog/cat and that the person they choose is properly trained, not just academically but, of equal if not more importance, has extensive vocational experience. Animal Behaviour is NOT a qualification of specific expertise in dog/cat behaviour: it is too general and in most cases the degree has little canine/feline specific modular content or none at all. Animal behaviour degrees do not teach practical hands on experience with dogs/cats, especially not with serious behaviour issues like aggression. The students therefore have no exposure to a behaviour that is becoming more common in society, neither do they have access to the experience which will take years of critical training to achieve. We use the University of Middlesex Academic courses that incorporate and appreciate past canine/feline behaviour experience, experience vocationally and moreover accept courses which are canine or feline specific. If you want the best canine or feline practitioners you need specialised academic qualifications gained in these subjects and which have real dogs in real situations being used for teaching the nation’s future experts from University Certificate to Masters Degree Level. Chairman – Colin Tennant FCFBA.